На самом деле это Образец Эпичности, который плавал в водовороте на птр катаклизма, созданный из за жалоб игроков на неэпичность грядущего аддона. Так же использует абилку отбрасывание, сбивается.И по все арене небольшие лужи в них не стоим. 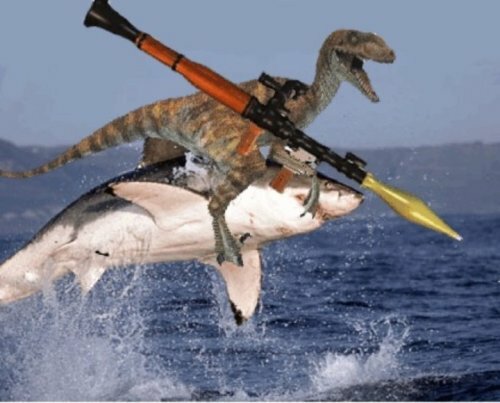 A level 85 elite forsaken with Arcanite Ripper, who is riding on a level 60 elite devilsaur, which is riding a level 90 elite flying shark with two rockets and a laser. Epic. WowWiki picture of it, because it's just that awesome. So they fixed it with that. Too bad it's been removed now. It's unfortunate that when you click on "View in 3D" all you get is the shark. Goblins got to ride the Mechashark X-Steam as part of one of their starting quests. He is basically Epicus Maximus alone (no ROCK ON and And a Dinosaur). And yes, you can use the Freakin' Laser Beam! BLIZZARD, WHY, WHY DID YOU REMOVE THIS PARAGON OF EPICNESS! "It´s even more epic than full of epicness"
And on the seventh day he made the Axe an electric guitar, and it was EPIC! now a rank 8 challenge card encounter in the Brawler's Guild. incredibly difficult and incredibly cool looking. This is one of the rank 8 brawler's guild fights; and since I can't really find any strats I'll post some helpful tips; I still haven't gotten this one myself, I just have this and Milhouse left. Destructolaser is a channeled ability he will do where he will shoot a single laser that will fixate on a target and follow them until it reaches the player; this is fairly easy to avoid; and also being that it's channeled gives you some time to either run away from the boss and be in some damage while not worried about being hit by his melee. Blue Crush is the ability you must interrupt; If he gets the cast off he will spin and splash you with water no matter where you are that will kill you in 2 ticks if not 1. He has a tendency to begin casting this ability immediately folling a channeling of Destructolaser so be on the lookout for that. Melee; He melees fairly hard; however Destructolaser will give you some time to gain some extra distance from the boss if you find him getting too close to you. This is about all I got for now; best of luck and I'll post updates if I get him =P. We thought Epicus Maximus was the pinnacle of awesomeness. Yet now it pales (a little) in the light of SharkNado. Are you just going to let that beat us, Blizzard? We await the challenge to be accepted.